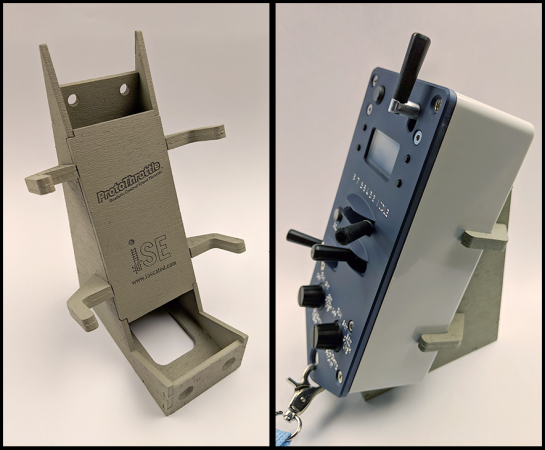 The ProtoThrottle™ Realistic Control Stand Throttle mimics a standard EMD control stand including full detent throttle and reverser handles, a spring-loaded horn handle, a push-on/push-off bell button, and fully programmable front and rear headlights with a setting for ditch lights. 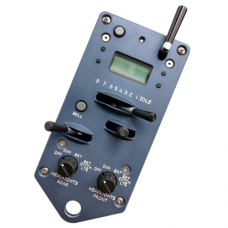 In addition, the ProtoThrottle comes with a robust faceplate machined from aluminum, including prototype bezels, and anodized to give the look and feel of a real control stand. The ProtoThrottle is being developed in tandem with Scott Thornton of Designgrid LLC. Scott is responsible for the throttle’s aesthetics, faceplate mechanical production, and marketing. 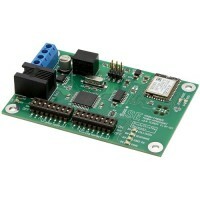 *Note: Requires purchase of a separate receiver specific to your DCC system. 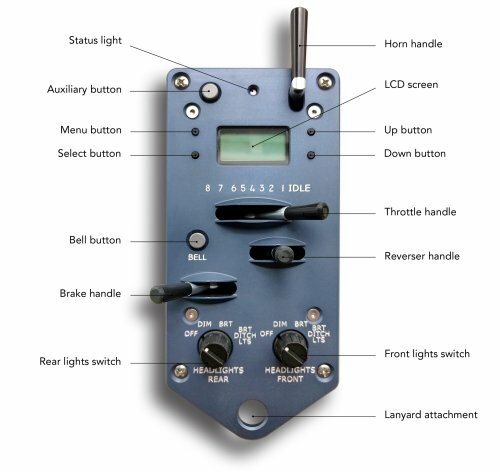 Due to regulatory requirements, the ProtoThrottle can only be shipped to the US, Canada, Australia and New Zealand. Orders placed with a shipping address to any other country will be cancelled and refunded. 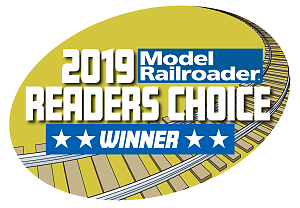 Click here for a video Product Review by Model Railroader Magazine. Powered by 2x AA batteries (not included). 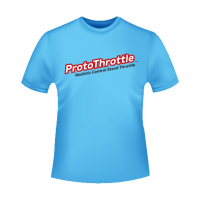 Announcing the latest holder for your ProtoThrottle… the ProtoThrottle Pocket! 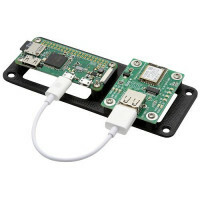 Store and protect your ProtoThrottle with the ProtoThrottle Pocket. 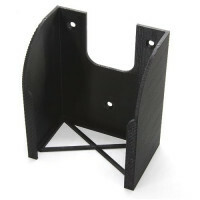 Made from strong and durable black PETG plastic, this holder will cradle your throttle securely and out of the way when not in use, while still providing access to the controls if needed. Three mounting holes in the back make for easy attachment to a wall or the layout fascia. Click here to purchase. The Tsunami2 True Idle feature can improve the operating realism of your locomotives when used with the ProtoThrottle. Take a look at this video below from SoundTraxx for more information. Tsunami2 (V1.2) True Idle lets you run your Model Trains YOUR WAY! 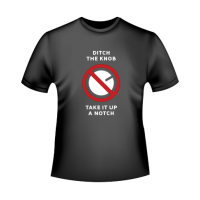 With all of the hype around the new Proto Throttle we have had a lot of questions about our True Idle feature. In this video, our product expert explains the feature, shows examples of how it works, and explains how real locomotives operate in these scenarios.To accurately simulate how a real locomotive runs, original Tsunami2 decoders did not change the prime mover notch when going from speed step 0 to speed step 1. We found that it is a common customer perception that the prime mover should notch up when this happens. So in Tsunami2 software version 1.2 we added this in for you!CVs used in this video:CV 112: Enable the E-Stop Idle, Alarm Bell, HEP Generator and True-Idle Modes. 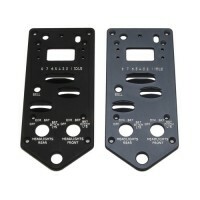 One of the key distinguishing characteristics of the ProtoThrottle Realistic Control Stand Throttle is its throttle handle with eight notches plus idle. With those characteristics detents, you can operate your locomotives like the prototype and have the prime mover sounds respond accordingly. 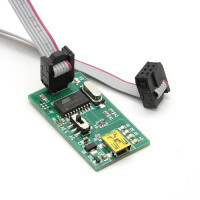 Setting this up on the ProtoThrottle is simple and takes just a few minutes, with the help of the ProtoThrottle, to find where your particular DCC decoder transitions between notches. Those transitions can then be used to pick the optimal speed steps to assign to each notch. We’re pleased to announce that we now have a holder for the ProtoThrottle that is easy to assemble and attach to your layout fascia. The holder is lightweight, strong and can be painted to complement your layout colors. It holds the throttle securely and at a comfortable angle for ease of use in a stationary position if desired. The holder is available exclusively through Precision Design Company. 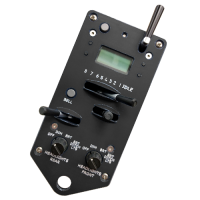 We now have available a Loksound configuration file, pre-configured for the just announced ScaleTrains.com GE Dash 9-44CW locomotive, which improves the experience when used with the ProtoThrottle™ Realistic Control Stand Throttle. This configuration mostly keeps intact the original function mappings, but adds ProtoThrottle specific functions for the lights and increased momentum settings. 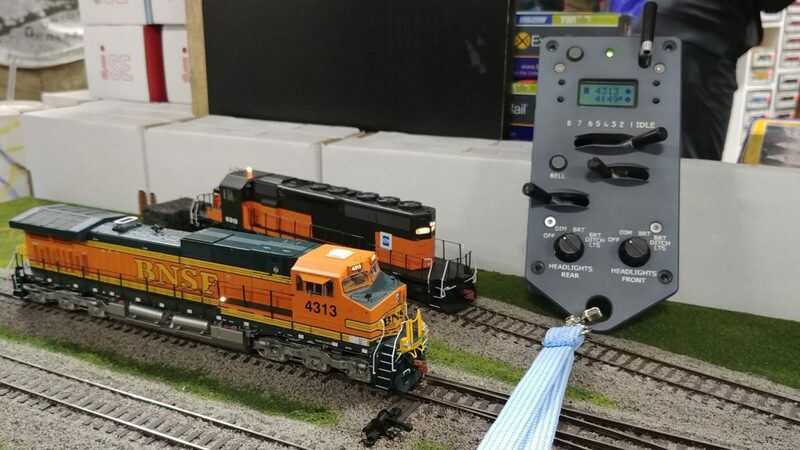 Uploading this configuration file to your locomotive will give you a quick starting point to get up and running with the ScaleTrains.com GE Dash 9-44CW and the ProtoThrottle.